We like to help our customers focus on what’s important. If your customers queue for a coffee on an exhibition stand you’d prefer this time to be spent interacting with your product messaging or sales staff. 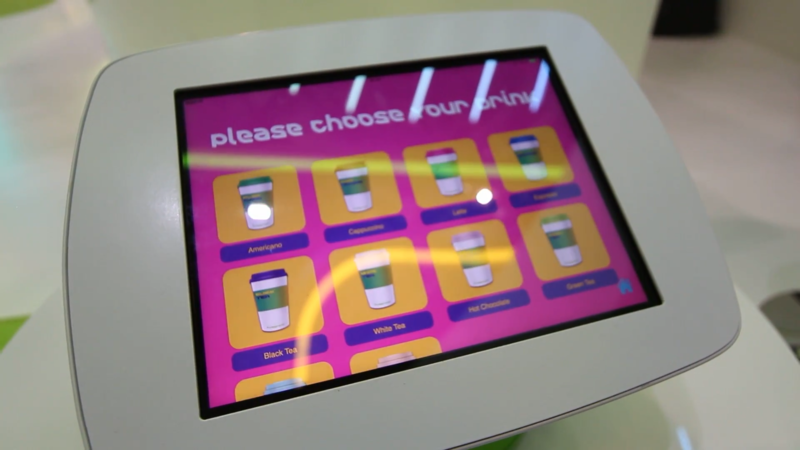 Response have created an App which allows your customers to select a coffee choice and receive a personalised coffee, labeled with the customer’s name and brought to the customer by hospitality staff. Many of our clients want to understand what works and what doesn’t work on an exhibition stand and how visitors respond to data displays and interactive tools on the stand. Response can create a series of fixed trigger points on the stand layout which will collect data on dwell time, visitor distribution, total number of visits and time spent with stand staff. Focusing sound on precise locations within a live event can create powerful audio enriched experiences, defining precise areas where you want customers to hear your messages. This eliminates the distraction of background noise and results in a more concentrated and attentive listening experience. Contact us to find out more about how this technology can be deployed.